I love getting to know new people through decorating their homes and in fact, it is the people that makes the 'job' of decorating so fun. (It is also what makes it challenging but oh, I love that challenge!). Sometimes when I start with a new client they have a good idea of what they want. They may give me photos or show me magazine images of rooms they love. Some clients even have entire files or notebooks filled with ideas. But often they don't have any idea where to start. For those clients I have a 3-ring binder of pages that I have pulled from magazines over the years that I have them peruse through and tag ideas they like. Through those images we can hone in on color and style preferences and it is also a good way for me to give them a visual for ideas I might throw out to them regarding area rugs, window treatments and millwork. It is very important to me to help a client get the house of their dreams (not mine) and so the more I know about what they love or don't love the easier it is. But many clients don't really know what it is they like so selecting furniture and materials can be a process. I love walking them through that process and selecting fabrics is one of my favorite ways to begin. Sometimes I select fabrics and take them to a client to review but what I really love is bringing my clients along for the fun. I think shopping for fabrics is one of the best ways to get to know a new client from a personal aspect and also to really get into their head to understand what they like. I enjoy educating them on the way I work, why I choose what I choose, explaining fabric content and how to mix styles to make a room more interesting. It also gives us a nice arena to get to know each other better and have a little fun while we are sorting through the hundreds of fabric choices. It is fun to watch them grasp the ideas, hear them use the new design terms they are hearing and to watch them feel more comfortable selecting swatches and expressing their ideas. I absolutely love helping them through what felt like a confusing and daunting task at the beginning to come up with an end result that is beautiful and one that they were part of. The only thing better than seeing the smile on their faces and hearing the excitement in their voices when they finally 'see' the direction the project is going is their reaction on when the job is complete. Last week I worked with a new client and our experience shopping together was just as I described. I had met her once before at her home to go over the scope of the job and take measurements and photographs. 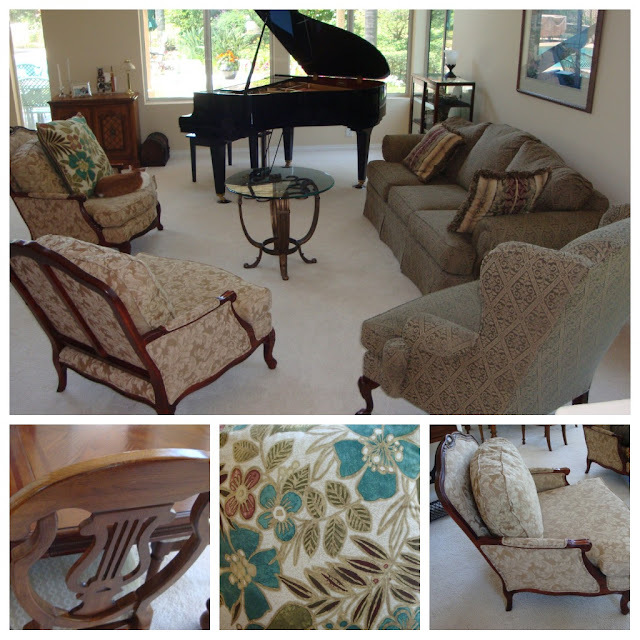 We determined that she would purchase a new sofa (a smaller one) and re-upholster her two bergere chairs and wing back chair. We will also replace her existing coffee table, move some of the smaller pieces of furniture to other rooms, add lamps, etc. 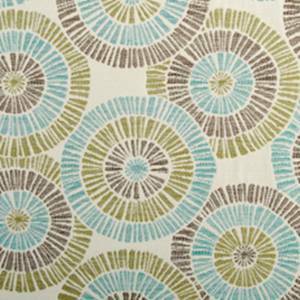 We started by selecting a fabric for a new sofa. Since she was keeping her existing carpet and wall color those things were taken into consideration. She also had a pillow that showed the colors she liked. What a pop that room is going to have; can't wait to see the finished, fresh room. Wow! 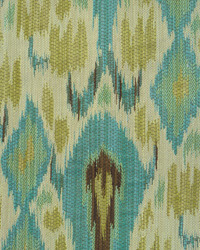 I love all those fabrics, the dining room chair fabric is to fun! I'm not much of a blue lover but I do love the shade you are using! 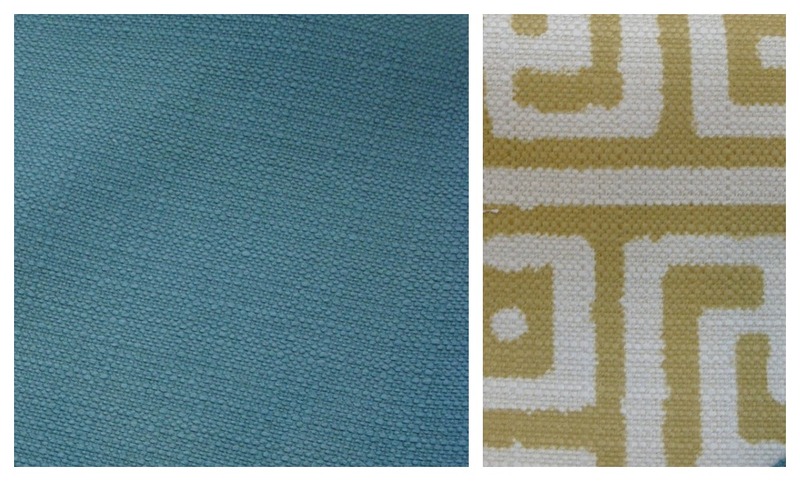 In fact, I like the whole combination of colors and patterns you guys picked out! Fabulous job, looking forward to seeing how it all came together! Oh, my friend. I wish you were my designer! You have always an amazing taste and so much knowledge! I love every post about your projects! I love the fabric you picked for her wing back chairs and those greek key fabrics are so beautiful! Love the colors you guys picked out. Looking forward to see the big reveal! My clientele has always been more re-design then rebuild but I do see a shift from throwing out and starting over to trying to use what they have. I think the economy has a play in that but also being more conscience of our environment it just makes sense to re-purpose where we can. I have done a lot more re-upholstering lately which is a great way to get a whole new look for less. It is also something to consider when purchasing furniture for the first time, to select furniture that will last and can grow with you. Thanks for your comments! 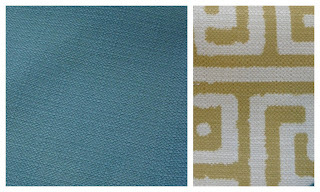 Love those fabrics...they will make that room really come to life! OH wow! I love that wing back chair fabric!! Gorgeous!! Absolutely gorgeous!